12 Hospitals & Surgery Centers. Rabbi Mozes is a fourth generation mohel with many years of experience performing circumcision (Bris Milah) in NY, NJ, PA, CT, and beyond. 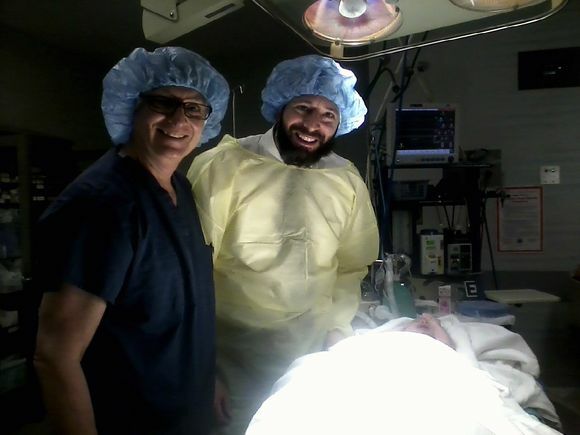 Rabbi Mozes is a professional New York Mohel & New Jersey Mohel, serving the NYC tri-state region with experience performing circumcision (Bris Milah) in hospitals. 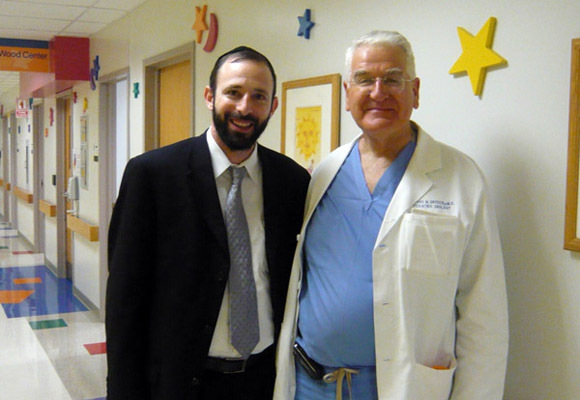 Rabbi Mozes helps people connect with a mohel throughout the United States. You may contact him for more information about the medical aspects involved in Traditional Jewish Bris circumcision performed by a mohel. New York: Rabbi Boruch Mozes is a Mohel who performed Bris circumcision ceremonies in over 50 New York towns and cities including Airmont NY, Bedford Hills NY, Borough Park NY, Bronx NY, Brooklyn NY, Brooklyn Heights NY, Catskill NY, Cedarhurst NY, Chestnut Ridge NY, Flatbush NY, Flushing NY, Forest Hills NY, Forshay NY, Fresh Meadows NY, Goshen NY, Great Neck NY, Hillcrest NY, Kensington NY, Kew Garden Hills NY, Liberty NY, Lido Beach NY, Long Beach NY, Long Island NY, Manhattan NY, Manhattan Beach NY, Mill Basin NY, Monsey NY, Monticello NY, New Hempstead NY, New York City NY, Pomona NY, Prospect Heights NY, Queens NY, Rego Park NY, Riverdale NY, Rockland County NY, Scarsdale NY, South Fallsburg NY, Spring Valley NY, Staatsburg NY, Staten Island NY, Suffern NY, Syosset NY, Tarrytown NY, Westchester County NY, Washington Heights NY, Wesley Hills NY, Williamsburg NY, Windham NY, Woodmere NY, & Woodridge NY. New Jersey: Rabbi Boruch Mozes is a Mohel, who performed Bris circumcision ceremonies in over 50 New Jersey towns and cities including Aberdeen NJ, Asbury Park NJ, Bedminster NJ, Bergen County NJ, Berkeley Heights NJ, Cherry Hill NJ, Deal NJ, Eatontown NJ, E. Brunswick NJ, E. Windsor NJ, Edison NJ, Elberon NJ, Elizabeth NJ, Englewood NJ, Englishtown NJ, Fair Lawn NJ, Fort Lee NJ, Franklin Lakes NJ, Freehold NJ, Hackensack NJ, Highland Park NJ, Hillside NJ, Howell NJ, Jackson NJ, Jersey City NJ, Kendall Park NJ, Lakewood NJ, Little Falls NJ, Livingston NJ, Long Branch NJ, Manalapan NJ, Milburn NJ, Milltown NJ, Montclair NJ, Morganville NJ, Mount Laurel NJ, New Brunswick NJ, North Plainfield NJ, Oakhurst NJ, Ocean County NJ, Ocean Township NJ, Park Ridge NJ, Passaic NJ, Paterson NJ, Plainsboro NJ, Ramsey NJ, Red Bank NJ, Rockaway NJ, Shrewsbury NJ, Sicklerville NJ, Tenafly NJ, Teaneck NJ, Union NJ, Voorhees NJ, W. Long Branch NJ, W. New York NJ, & W. Orange NJ. Pennsylvania: Rabbi Boruch Mozes is a Mohel who has performed Bris ceremonies in many Pennsylvania locations including Bala Cynwyd PA, Bensalem PA, Breinigsville PA, Chalfont PA, Elkins Park PA, Meadowbrook PA, Newtown PA, Philadelphia PA, Scranton PA & Yardley PA.
Connecticut: Rabbi Boruch Mozes is a Mohel who has performed Bris ceremonies in many Connecticut locations including Bridgeport CT, Norwalk CT, Orange CT, Torrington CT, Waterbury CT & West Haven CT.
Delaware: Rabbi Boruch Mozes is a Mohel who has performed Bris ceremonies in New Castle DE. Massachusetts: Rabbi Boruch Mozes is a Mohel who has performed Bris ceremonies in Egawam MA. 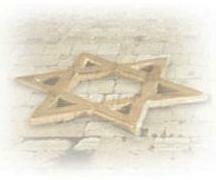 Texas: Rabbi Boruch Mozes is a Mohel who has performed Bris ceremonies in Houston TX. Maryland: Rabbi Boruch Mozes is a Mohel who has performed Bris ceremonies in Pikesville MD.